They have taken the controversial rout of “direct action”. They said enough is enough; no preaching is not going to change the heart of the heartless whalers. 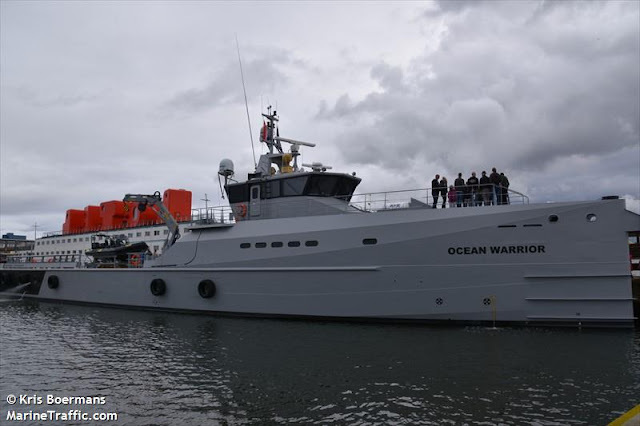 So, the anti-whaling activists of “Sea Shepherd” have built a custom war ship to fight off the killers. A resolution in 1986 by the International Whaling Commission (IWC) has banned killing whales for “commercial profit”. 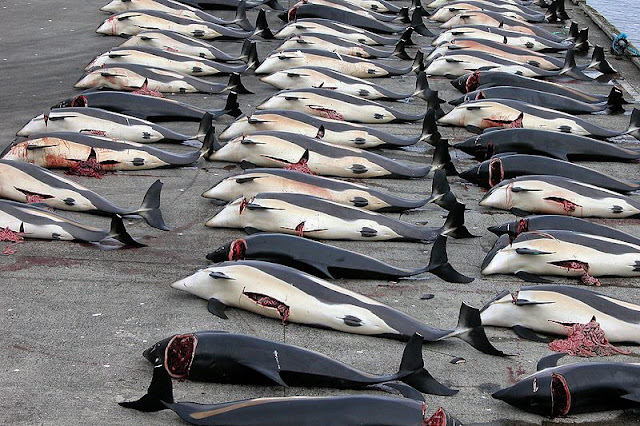 There are loopholes in that resolution which allows whalers from Iceland, Japan, and Norway etc kill whales. The Japanese do it for “research”. These countries kill about 2000 large whales each year. Japanese whalers were banned from Antarctic oceans, but they do not honor that ban. It is because there is no police in Antarctica. The nature lovers of Sea Shepherd have been trying to protect wildlife from illegal traders and poachers for decades. The society has become controversial for their direct combat tactics. They often fight with the poachers to save sea animals. 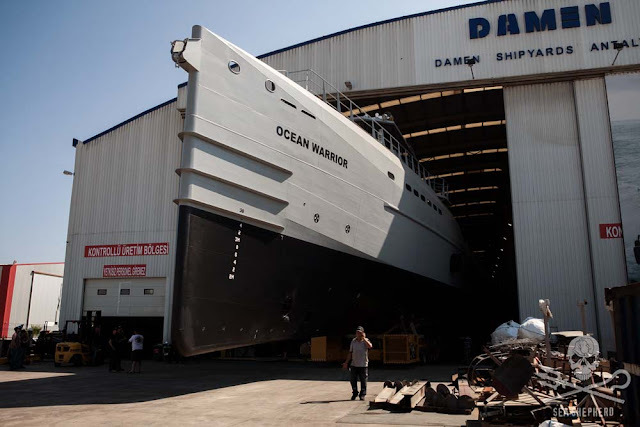 The ship to protect the oceans is christened as “Ocean Warrior” was built by Damen, a ship building farm of Netherlands. It took 18 months and a lot of money to build the warrior. It was funded by Dutch Postcode lottery, People’s Postcode Lottery and Svenska Postkod Stiftelsen. 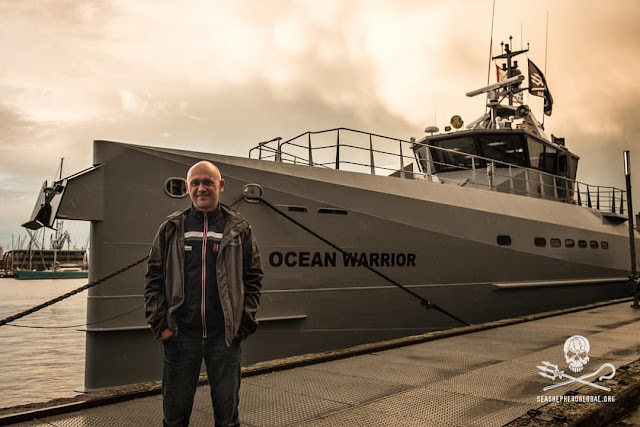 The ship is commanded by Captain Alex Cornelissen, CEO of Sea Shepherd. They gave 8.3 million Euro or $9 million. The ship is 54 m (177 ft) long. The maximum width is 10m. It has 2.8 m draught. The ship is capable of cruising at a speed of 25 knots max. It is really fast. Such speed was required to outrun and catch the Japanese whaler ships which run as fast as 22 knots per hour. 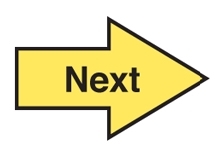 The ship will work following the method used by other ships of the organization. The activists from the ship will cut the nets thrown from the killer vessels. They will also throw file smelling smoke bomb into the whaler’s ships. They have another method of clogging the propellers of killer ships using nets. Above two photos are from www.marinetraffic.com. Captain Cornelissen is an active defender of our oceans. The Japanese call him “eco terrorist”. He was originally from a small town of Netherlands. The sailor is a scuba diver and a vegetarian. He left his job and sold his house to join Sea Shepherd in 2002. In 2006, a sea shepherd ship Farley Mowat was commanded by him. It was detained in Captown for four months for political reasons. The captain took the ship away from the harbor without permission under the cover of darkness. This incident made him a hero within the organization. He took the roll of CEO in 2013. Sea Shepherd’s activities were controversial from the beginning. According to some, they are breaking laws by taking laws into their own hand. Numerous cases and legal actions were taken against the group. The Japanese even complained for “racial discrimination” against them by the group. FBI reports in USA against the group also refer them as “eco- terrorists”. The Canadian intelligence agencies also reported similarly against the group. There are also senators in Australia who called them “criminals”. Institute of Cetacean Research (ICR), the group of whale killers of Japan had moved against Sea Shepherd in U.S. federal district court of Seattle in 2011. After a long legal battle, Sea Shepherd has lost the case. The US courts has ordered them to stay at least 500 yards away from the Japanese killer ships. They are also called “pirates” by the court. What do you think about Sea Shepherd and their activities? 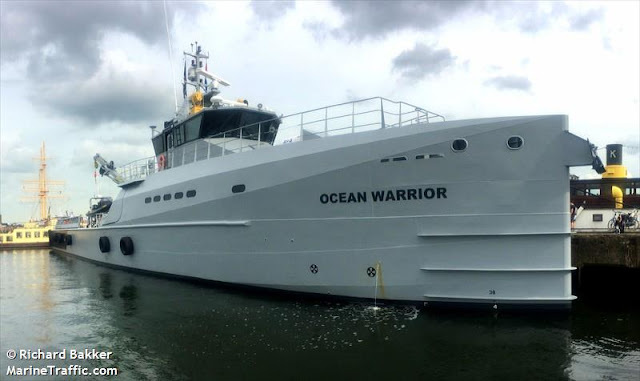 What is your opinion about their new ship “Ocean Warrior”. Do you think that their method to save oceans is justified? Do you believe that they are morally and legally right? Tell us in the comments box. You can visit the website of Sea Shepherd here.